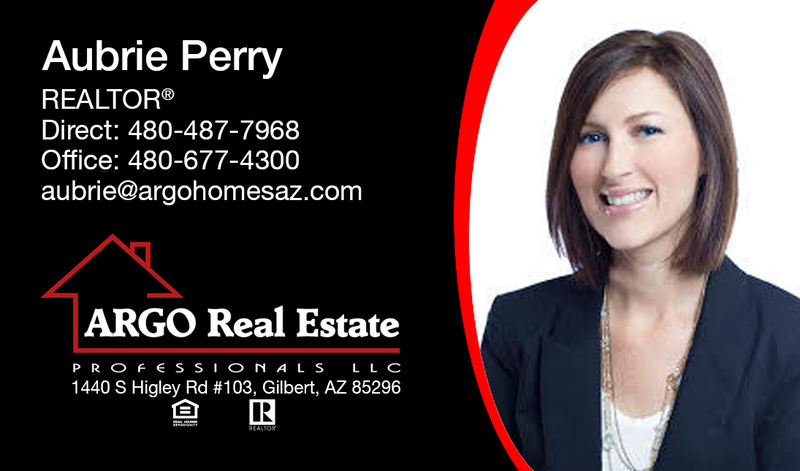 Aubrie Perry has been selling Real Estate since 2009 and has represented banks in selling foreclosed homes, builders in selling new homes, sellers in selling their home and buyers wanting to buy a new home. Aubrie has worked in the Gila Valley area, serving Safford, Thatcher and Pima, Az. And sold the most homes in those areas for 3 years. She is currently residing in the Queen Creek, Az area, with her husband and two sons, and sells real estate in the East Valley. She is dedicated in helping clients achieve their Real Estate goals. Her specific area of knowledge and expertise is in residential sales and purchase, vacant land, investment properties, bank owned homes and spec homes or remodels. Aubrie loves helping buyers and respects their time in searching for a new home. She never says I can’t, there is always a way to get something done. You want someone that knows the contracts and will negotiate on your part. She wants to make buying a pleasurable experience. The same with selling a home, Aubrie will work hard to get you the most money for your home, and communicate the most effective way to do that. Whether it is pricing it right, getting it ready for showings, or marketing your home to it’s best advantage. Aubrie can use all of those platforms for the best result. Aubrie grew up in Arizona and has lived here her whole life. She is dedicated to service in her church, and working with the youth. She enjoys watching sports and hiking. And spending time with her family.